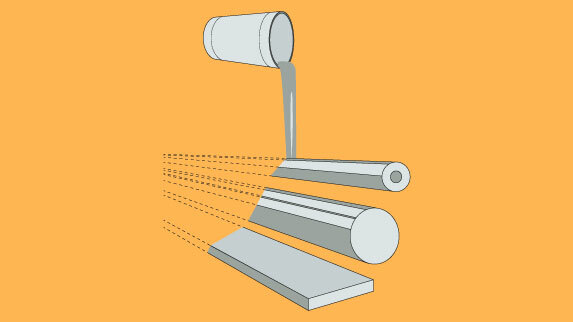 In the extrusion process, the granule is introduced with a hopper into a cylinder where it is cast. 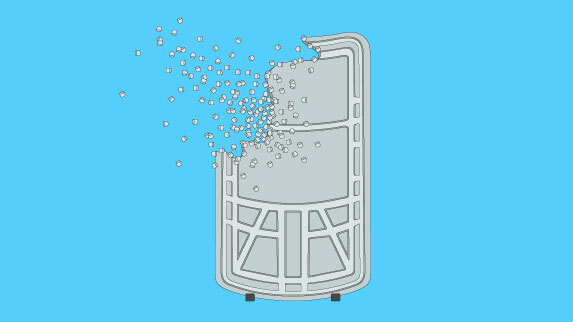 The cast mass acquires the desired form in a mould and it completes the solidification in a cooling area. 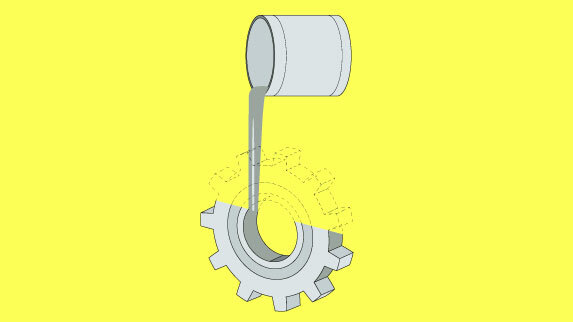 The casting process allows obtaining semi-finished plastics and finished components through the anionic polymerization reaction of caprolactam. The raw materials (caprolactam, activator and catalyst), in the liquid state, are introduced by means of the gravity force (static casting) or centrifugal force (rotational casting) in moulds properly heated where the polymerization reaction takes place. As in the reaction injection moulding the caprolactam, to which an elastomeric component is added, is introduced at low pressure in properly heated moulds inside which the polymerization reaction takes place. The result is an extremely ductile product with an exceptional resistance to shocks. 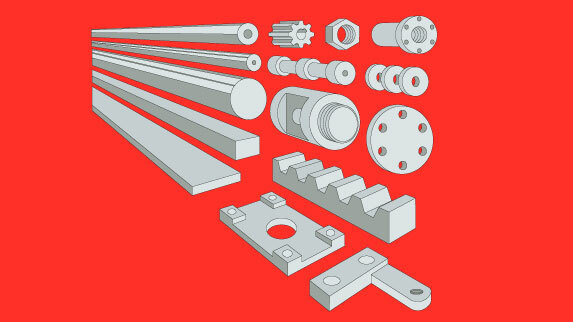 The injection moulding allows producing big batches with a significant cost saving. The plastic material is cast and injected, through the rotation of screw; inside a mould where the object shape to be produced is obtained as a negative. The material solidifies in the properly conditioned mould in order to be easily extracted and to start a new processing. The process of hard coating or surface treatment consists in the silicone covering treatment of plastic transparent or coloured components and moulded polycarbonate scratch-resistant, anti-fog, water repellent, anti U.V. and abrasion-resistant products. These are products that have to maintain their physical and physiological characteristics intact over time. Omnia Plastica division, devoted to the moulding of composite fibres, carbon fibre, ballistic kevlar, aramid fibre, multi axial fibres items, creates products for the State public force and for motorcycling. 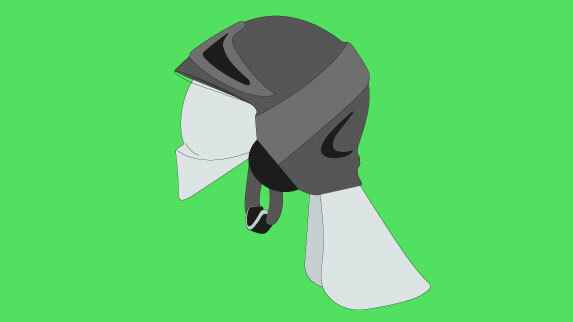 Most of the division production is devoted to the moulding of composite fibres caps for safety helmets for public order and motorcycling. The production capacity is about 130 caps per day on a moulding and composite fibre cutting line. 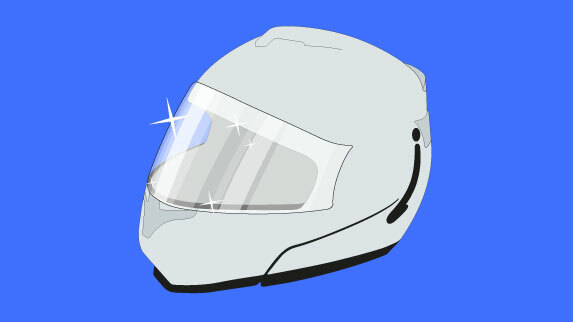 The company belonging to the Motosport group completes the production of composite fibres moulding and deals with the finishing, assembly and inspection of helmets.